Chilliwack – At the Regular Meeting of Council on March 20, 2018, Chilliwack City Council adopted the heritage designation for the Skelton House. Heritage designations within Chilliwack are voluntary and only done at the request of the property owner. All heritage applications are substantiated by a report from a qualified heritage consultant prior to Council adoption. Heritage Chilliwack had been pushing for this designation for quite some time and needless to say, is very pleased with the outcome. Members of the public are invited to attend the presentation of a Municipal Heritage Site plaque for the Skelton House on May 23. 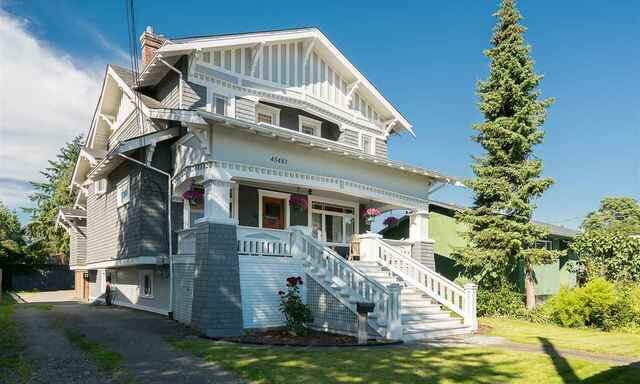 Constructed in 1913, the Skelton House is a one and a half storey Craftsman-style house located in a then-prominent site opposite the historic fairgrounds. The house features a full open front veranda with tapered piers, an inset second floor balcony and front gable roof and dormer windows. “It is a pleasure to have the opportunity to recognize the historic value of the Skelton House to our community and to recognize its current owners for their ongoing efforts to preserve this piece of Chilliwack’s history,” said Mayor Gaetz. The Skelton House is a historic representation of the residential and commercial growth in Chilliwack in the years prior to World War I. A thriving agricultural settlement, Chilliwack saw the BC Electric Railway linking the community with New Westminster completed in 1910 and a post office, hospital, city hall and high school all built before 1914. The original occupants, the Skeltons, were a well-known entrepreneurial and socially activity family, and the social value of this historic house is found in the engagement of the Skeltons with their community. The Skelton House at 45483 Spadina Avenue is a well-maintained residential property. The heritage designation and upcoming plaque presentation for the Skelton House support the City’s Official Community Plan goal to foster a greater public awareness and appreciation about Chilliwack’s history and cultural heritage. Under the City’s Heritage Designation Policy, the Skelton House will be preserved for generations to come by the municipal heritage designation bylaw. Be the first to comment on "Chilliwack’s Skelton House Receives Municipal Heritage Designation – May 23 Ceremony"